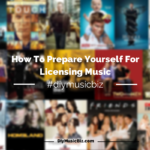 Music Licensing can be a quite confusing and while there are different types of music licenses, I will focus the 3 I feel are “most” vital to us as composers, producers and artists. Now, before we get into these licenses, let me explain what I licensing is. Licensing is the act of giving a third party the right to use your material. That’s all it is. Whether you do this for free or fee… that’s up to you and what you negotiate with your client. 1) What Is A Blanket License? A blanket license allows a client to use a catalog of songs for an annual fee.. This makes using music easier because there is less paperwork involved and a slue of music for the client to use throughout the year for any number of projects. and just about any business that uses music to set the mood or tone for their establishment. I was surprised when I found out how much my local Marriot was paying for elevator music. Elevator music = The music you hear in the elevator/music you hear as you walk into the establishment (just throwing that out there). These licenses can range from a few hundred to several thousand dollars, depending on what’s negotiated. 2) What Is A Sync License? Of all licenses, the sync license is probably the most popular. It’s basically an agreement between licensee and the copyright owner. Sync licenses are most often used in TV/Film and video games, anything else media related. How the song is used (background music, stinger, main theme song of show). Where the song is being used. You’ll be paid more from a placement in a major motion picture than you would in indie film (typically). Experience and brand, someone like Han Zimmer is going to make a lot more than you or I. It’s all about the brand name, doesn’t matter how good the music sounds. Project’s budget (bigger company typically means bigger budget). Middle Men? Are you working this deal on your own or is there a middle man? When I say “Middle Man” I’m talking about libraries, music supervisors, managers, agents and people that help you land placements. These professionals are going to take a cut from your profits… and they should. 3) What’s A Master License? Master licenses are made between the person who owns the master recording (company or creator) and the person who wishes to use the material (song). It gives the licensee authorization to use your pre recorded track/song in visual projects. Having a master license is only half the battle, in order to use the track in it’s entirety, a sync license is needed along with the master license. Master & Sync licenses are very similar as they are required for the licensee to use music in media based projects, but there is a slight difference. The master license grants rights to the “Mastered recording”. The sync allows the client to use the composition and re-record the song. Normally when a record label signs an act they’ll almost always control or own the master. Can you imagine what conflicts and disagreements could arise from that arrangement? I can’t say I blame the label, but can you imagine how difficult that must be for the artist? 8K, 5k, 10k… I’m not saying anyone would strike it rich at those prices, but enough of those declined over time is a huge loss. Hopefully I didn’t further confuse anyone while explaining these license types. If you found this post helpful please let me know by leaving a comment in the section below. I now understand about the master license and why my music was turn down from Sound Cloud when i try to sign them on there. I glad that helped and shed some light on your dilemma. Wow Fred… Soundcloud has NOTHING to do with licensing in any way… whatsoever. Soundcloud is free (up to a predetermined total track time limitation). As a matter of fact, people start accounts on Soundcloud and post OTHER PEOPLE’s music!!! I have my music on Soundcloud re-posted ALL THE TIME (and hate it)!!! I have a question for you. I know this is going to depend on the circumstances, but when is it best to push the blanket license vs sync license? I’m almost convinced I should only offer sync licenses and skip royalties for the sake of smoother transactions. What is your advice on that? I had no idea that there was different types of music licensing. I have a dream of being a musician, but I guess I need to do some more research. If the sync license is the most popular, is that the best choice?